The striking metal cap at the top of the handle gives ultimate protection during jobs requiring high impact and added force. The shank continues through the handle before contacting to a striking metal cap for ultimate strength. The hole in the handle allows the insertion of a T bar for added force transmission. 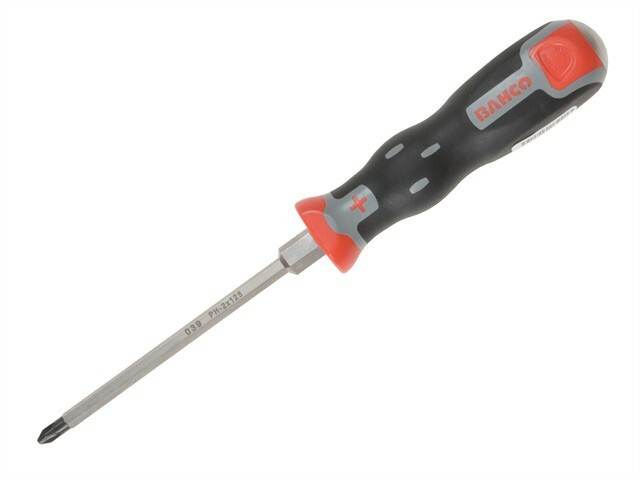 Bahco Tekno+ Through Shank Screwdriver. Phillips Tip PH2 x 125mm.